Some may believe the opinions of Liz Koch and others, is over-stretching the muscles’ true functioning. However, the profundity of the muscle cannot be argued. It is quite literally the deepest muscle of the human body and the epitome of our ‘core muscles’. Responsible for keeping us stable, affecting our structural balance and muscular integrity, it also affects our flexibility, strength, range of motion, joint mobility and even organ functioning. 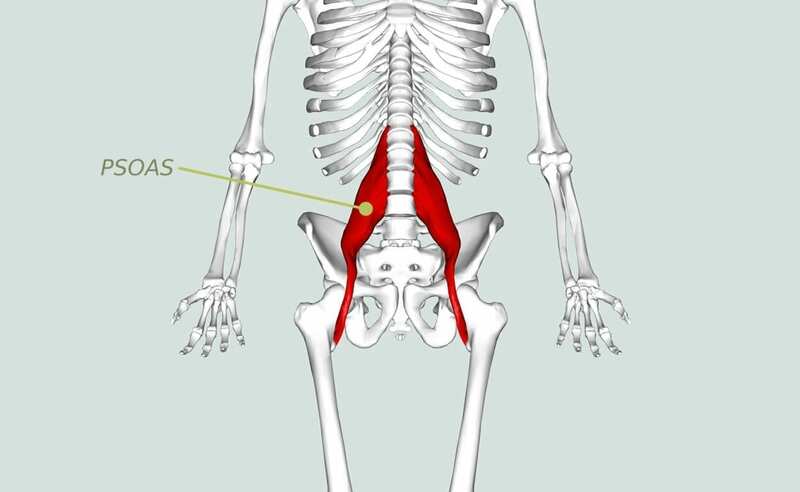 The psoas major joins the upper body and the lower body, the axial to the appendicular skeleton, the inside to the outside, and the back to the front. Without this muscle, we would not be able to stand upright or lift our legs to walk. This is because it’s the only muscle to connect the spine with the legs. Spanning laterally from the 12th thoracic vertebrae (T12) it connects to the lumbar vertebrae. From there it flows down through the abdominal core, the pelvis, and attaches to the top of the femur (thigh) bone. More than just a muscle? Here’s where the muscle goes from just a mechanical lever allowing us to walk, to a major player in how we feel. 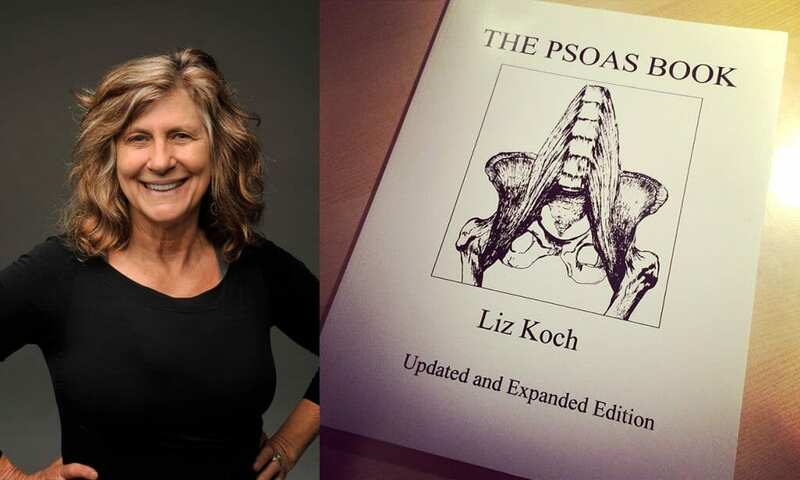 Fascia (connective tissue) joins the psoas to the diaphragm. The diaphragm is a thin sheet of muscular tissue underneath the lungs that dictates how we breathe. 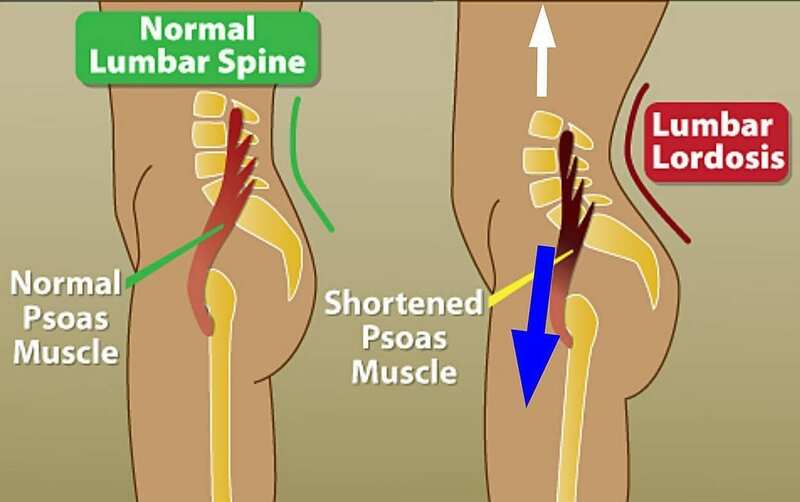 If we’re often stressed, this will affect our breathing patterns which in turn will affect the psoas. There are only two states in which a muscle can be, one is flexed and the other is relaxed. Depending on how we are feeling or what we are doing, it will either create tension or relaxation in the muscle. Having a tight psoas creates structural problems whilst interfering with the movement of fluids, constricting organs and creating pressure on certain nerves. It will also impair the role of the diaphragm, causing a disruption in breathing patterns. Not only is breathing modulated here, but it is also the area where physical symptoms related to fear manifest themselves. It is believed that the psoas has a direct link to the most ancient and instinctual part of our brain stem and spinal cord. This is referred to as the ‘reptilian brain,’ which houses our survival instincts, and is shared by every single reptile and mammal on earth. One of the ways we can keep this muscle in check is by stretching it out and strengthening the surrounding core muscles. Zen fitness YouTuber Blake Bowmen, shares a truly effective workout to target this area. Give it a go, and see how you’re feeling afterwards, you may even understand why they call it the ‘muscle of the soul‘, after all. If you’re not comfortable following the video, or you want more – you can find a brilliant article on ‘Very Well’ – 10 Yoga Poses to Stretch and Strengthen the Psoas. If you’re thinking of getting serious with your stretching habits and sharing with others, we offer a diploma-correspondent course in Yoga which entitles you to teach anywhere in the world. We also offer a course in Meditation and Mindfulness. If it’s the workings of the body that fascinate you, try our Anatomy & Physiology course. No stress, no mess, no high expense and no commute. Schooling completed the holistic way!